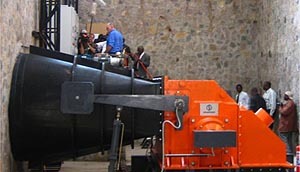 The Zengamina Hydro Electric Project was officially opened on the 14 July 2007. 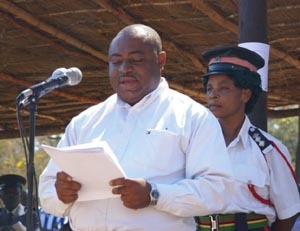 The Zambian President’s speech was delivered by the Honourable Kenneth Konga, Minister for Energy and Water development. For all those who have been involved in this scheme, it was truly remarkable to see it all working at last: water flowing over the weir, running down the canal and through the turbine: then, lights on! The NWZDT trustees acknowledge and thank all those who have supported the project to date whether practically or financially. 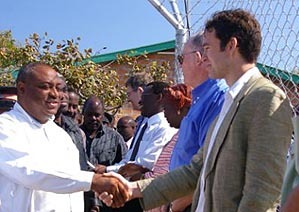 Phase 1 – generation and supply to Kalene hospital – is complete, but Phase 2 – increasing distribution network and connecting shops and villages – remains a significant financial challenge. We therefore need continued support. 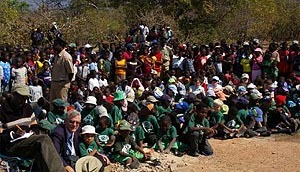 However, a celebration was due for Phase 1 and the official opening ceremony on 14th July 2007 was a fitting place and time. 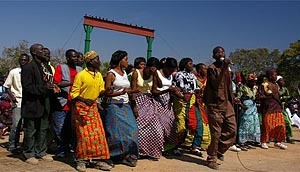 Despite a flurry of helicopters and security preparations in the days leading up to the opening, the President of Zambia did not attend (he was unwell on the day). Whilst this was disappointing, it did not matter as the occasion was primarily about the completion of the project and the remarkable team effort it entailed. 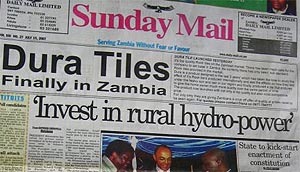 The Zambian Minister of Energy took the president’s place and read his speech. 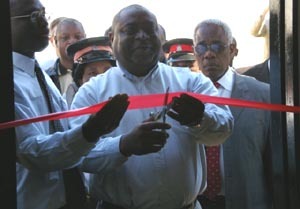 There was significant representation from local and national government, and bodies such as ZESCO, ERB and REA which was important as partnership is the key to more future schemes. Janice Sakwanda spoke on behalf of the NWZDT trustees. A huge local crowd assembled; there was dancing, food and a reception; and the opening made front page national News and TV. 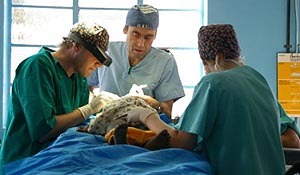 A few days before the opening, doctors at the 100 year old historic Kalene Hospital performed their first operation under this type of general anaesthetic – made possible only by the availability of reliable power. For the the same amount as it has costed for two to three hours per day of unreliable, diesel-generated power, they will now have 24 hour power. Both the hospital and the secondary school are now being refurbished and developed, and a mobile phone company has put a mast up! All those involved acknowledge God’s goodness, grace, protection and provision in the last four years.